Animal Spirits: How Human Psychology Drives the Economy, and Why It Matters for Global Capitalism by George A. Akerlof and Robert J. Shiller (Princeton University Press, 2009) tackles a broad swath of issues, both in the economy and in the discipline of economics. For instance, it takes aim at unfettered capitalism, at the model of the purely rational economic agent, and at economists who throw out everything that cannot be quantified. It stresses the role of animal spirits in the everyday economy and describes five of its aspects: confidence, fairness, corruption and antisocial behavior, money illusion, and stories. Let me pause here to stress that the authors claim no relationship between confidence and a positive outcome. We know from behavioral finance that people tend to be overconfident in their ability to make correct decisions. That is, they may make decisions based on confidence, but (one level removed) their confidence in their ability to make decisions based on confidence is often unwarranted. A second point that should be emphasized: the intuitive decisions that the authors laud are not uninformed decisions. They are the result of accumulated experience, often reflecting expertise. Take the pancake flipping example. I don’t particularly like pancakes and I am a singularly untalented cook. So, for me, deciding when to flip the pancake would be a pseudo-rational exercise that would probably have a sad end. By contrast, the person who had learned over time about the intricacies of making pancakes would “just know” when to flip it. The person trying to flip a house, on the other hand, might be confident but have no experiential basis for that confidence; he’s just riding the wave of general euphoria. His investment is likely to end as badly as my pancake. And this brings us to the phenomenon of market volatility. No one, the authors begin, has ever made sense of the wild gyrations of markets. Not only can the experts not forecast market movements; “no one can even explain why these events rationally ought to have happened even after they have happened.” (p. 131) They are clearly not explained by fundamentals. The authors suggest that we have to look at the multiplier effect of feedback. First, and most obviously, there is price-to-price feedback, more popularly known as momentum. But “price-to-price feedback itself may not be strong enough to create the major asset price bubbles we have seen.” It is, however, complemented and reinforced by “feedbacks between the asset prices in the bubble and the real economy. This additional feedback increases the length of the cycle and amplifies the price-to-price effects.” (pp. 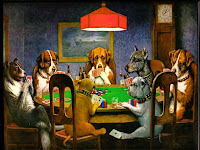 134-35) Animal spirits are at work everywhere. And you want to know what animal spirits look like? The cover art for this book, reproduced above, is marvelous. Two links for today. First, Ned Davis claims that the cyclical bull rally is not over but that most of the indicators that correspond to secular market lows are not in place. He bases his analysis on a synthesis of technical, fundamental, and macroeconomic indicators. Second, a new free offering from The Chart Store--five monthly charts adjusted for inflation by the CPI showing secular cycles of the S&P composite. On the Condor Options site there’s an excellent set of presentation slides from a webinar on “Risks Taken Unintentionally: Volatility and the Lessons of the 2008 Financial Crisis” by Jared Woodard. And if you have a little time on your hands, I suggest going to the Market Technicians Association site. It has .pdf files of all the papers that have won the annual Charles H. Dow Award. If you have still more time on your hands, you have until February 1, 2010 to submit a paper for consideration for next year’s award. Anyone who either tries to construct a portfolio with determinable risk parameters or tries to trade by taking cues from other markets faces a seemingly insurmountable problem: correlations vary over time. For instance, sometimes the bond and stock markets are negatively correlated, but there are times that they move in lockstep. Sometimes U.S. equities move up when the dollar is weak, other times when it is strong. What’s a person to do? Robert F. Engle gave a three-day lecture series at the Econometric Institute of the Erasmus School of Economics in Rotterdam, subsequently published as Anticipating Correlations: A New Paradigm for Risk Management by Princeton University Press (2009). The Dutch are known for their command of the English language, but they probably didn’t have to work too hard here since the English text serves largely to connect statistical formulas. Since I am not comfortable in the world of econometrics, I’ll stitch together a little post from the linking text and some general observations. The risk of a portfolio as well as its optimal hedge depends in large part on the future correlations and volatilities of its constituents. For example, in the case of the notorious CDOs correlations between defaults were the key determinants of valuation, yet virtually nobody who bought CDOs or tranches of CDOs had a reliable method for figuring out just how correlated these defaults were. Engle hypothesizes that shifting correlations are responses to fundamental news. Even when it would seem that trading rather than news moves correlations—for instance, when hedge funds unwind similar positions or deleverage their holdings, Engle claims that this distinction is semantic rather than real. For those who don’t aspire to be risk managers at an investment bank but who want to manage risk in their portfolio, it is important to monitor both volatility and correlation on an ongoing basis. We may not have fancy models, we may not be able to predict with any measurable probability where volatility and correlation will be in the future, but we can devise matrixes to know where we are. Are we in a high volatility or a low volatility environment? Are traditional correlations shifting? What are the fundamental reasons for these shifts? Once we know the answers to these questions, we can start to position size and hedge accordingly. 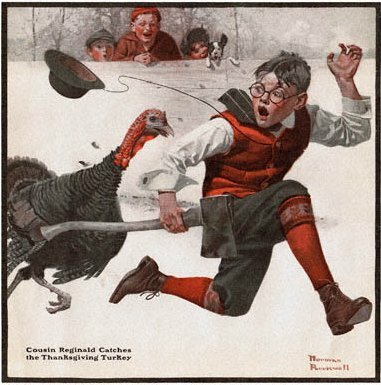 In anticipation of Thanksgiving, I with my gallows sense of humor decided to devote today’s post to the risk of ruin. That is, what are the odds that we will blow out our trading account? There are alternative ways to calculate the risk of ruin. Let me start with a simple formula provided by Nauzer Balsara in Money Management Strategies for Futures Traders (Wiley, 1992). In those cases where the average win equals the average loss, the probability of ruin is the probability of failure divided by the probability of success raised to a power equal to the percent of our account at risk, with the result multiplied by 100. If it’s a tossup whether we win or lose—that is, the probability of winning is 0.50 and the probability of losing is 0.50—and we risk 10% of our capital, the formula reads “(1 raised to the power of 10) * 100.” The probability of ruin is 100%. Ruin is ensured. It is significant to note, as Balsara stresses, that “when the probability of success increases marginally to 0.55, with the same payoff ratio and exposure fraction, the probability of ruin drops dramatically to (0.45/0.55)10” or 13.4%. “Therefore,” he stresses, “it certainly does pay to invest in improving the odds of success for any given trading system.” (p. 15) It also pays, of course, to position size wisely. If the parameters are the same as in the first example but the payoff ratio is 2 (that is, the average win is twice as large as the average loss) we can still quantify the risk of ruin by means of a mathematical formula. Put in its simplest terms, if we stand only a one in three chance of winning, even though our winners are twice as large as our losers, the risk of ruin is, yet again, certain. Once the payoff ratio exceeds 2, however, we have to turn to simulators (some available at no cost online; Equity Monaco from NeoTicker is one) to calculate the risk of ruin. These techniques for calculating the risk of ruin assume that we can estimate both the probability of winning and the payoff ratio. That is, they assume that (1) we have a backtest in which we have confidence and (2) we believe that the future will closely resemble the past. It’s leap of faith time. Moreover, not all trading strategies (and this includes many successful strategies) can be meaningfully quantified. For instance, any strategy that is event-dependent or that relies to any extent on qualitative considerations will resist simple risk:reward calculations, despite what analysts might claim. But let’s assume that the trader is fairly consistent in his approach and has a track record that spans at least a few months. Another way to calculate the risk of ruin is by using the mean and standard deviation of past returns. David E. Chamness wrote a piece in August 2009 for Futures Magazine that provides some formulas for calculating the risk of ruin this way. He also compares constant position sizing with fixed fractional position sizing and shares an elegant equation for expressing the fixed fractional risk of ruin. The Commodity Trader’s Almanac (Wiley, 2010) is the very young sibling of the Stock Trader’s Almanac. While stocks have had their own almanac for over forty years, this is only the fourth edition of the commodity almanac. I bought the first edition (2007) and found it useful. This edition, however, seems to be genuinely “new and improved.” For one thing, it now includes information on S&P 500 and 30-Year Treasury futures. (Earlier, currency futures were added.) Moreover, it provides not only specifications for commodity future contracts but also for their related ETFs and stocks. In the calendar section are charts that overlay about a year’s worth of data comparing a commodity to an ETF or stock and that show the commodity’s long-term seasonal pattern. The calendar itself highlights some seasonal trades that have had a high accuracy rate. The almanac also draws on John Person’s work on candlestick and pivot point trading triggers. Understandably, commodities have long been viewed as seasonal markets. Even if they stray from seasonal patterns during times of turbulence, it is never wise to trade commodities without knowing their seasonal track records. In this almanac there are three tables for each commodity (plus currencies and the new equity and fixed income futures). The first provides annual highs, lows, and closes of the near-term contract going back at least 25 years, sometimes longer. The second displays the near-term contract monthly closing prices, and the third looks at the near-term contract monthly percent changes. There is also a one-year chart comparing the 25-year pattern to the 5-year pattern. And, for those who like text, there are descriptions of the seasonal tendencies of the commodities both in the calendar section and in the data section. All in all, this is a treasure trove of material both for futures traders and for those who prefer to trade ETFs. I’ve been toying with Kaufman’s fractal efficiency ratio to see whether some time frames are noisier than others, as is generally asserted. The fractal efficiency ratio is derived by dividing the net change in price movement over n periods by the sum of all component moves, taken as positive numbers, over the same n periods. If the ratio approaches the value 1, the movement is smooth; if the ratio approaches 0, there is great inefficiency or noise. I’m not talented at number crunching, and I haven’t taken this analysis very far. But here’s some not quite raw data. Click on the graphics to enlarge them. The first spreadsheet shows the ten-minute price change on YM divided by the sum of all one-minute absolute price movements for the period between 10/14 and 11/2/2009. I have arbitrarily defined the trading day as starting at 8:30 EST and ending at 4:00. 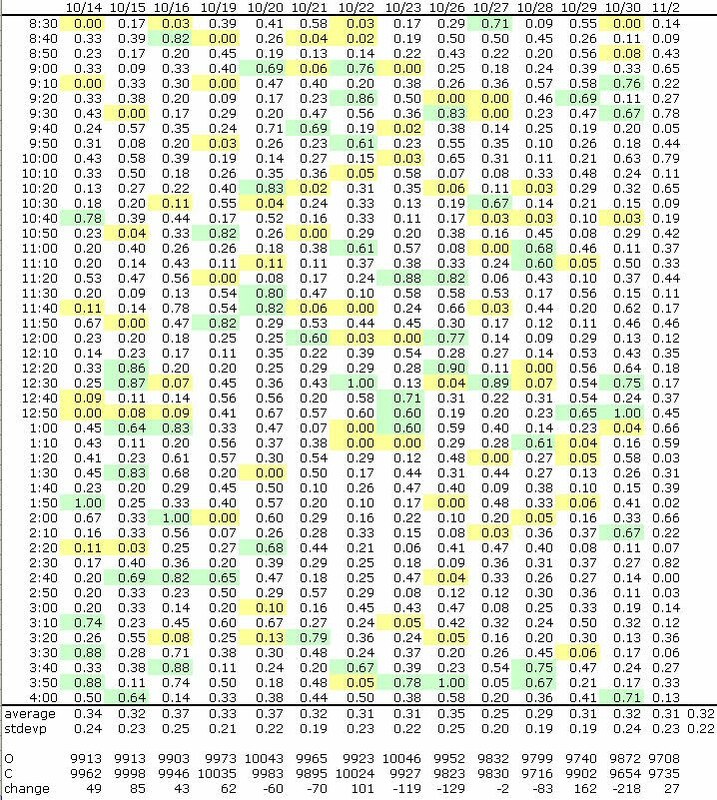 The particularly noisy 10-minute segments are colored yellow, the smooth segments are colored green. Beneath the rule is the average fractal efficiency ratio for each trading day and the standard deviation of the ratios. And then follows the 8:30 open and the 4:00 close, with the directional change, for each day. 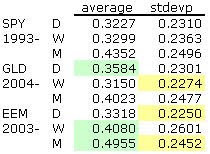 The average of the 14 average fractal efficiency ratios is 0.32; the average standard deviation is 0.22. I then compared this very small sample with daily, weekly, and monthly SPY, GLD, and EEM data over the entire course of their trading history. Once again, I calculated the ten-period price change divided by the sum of its ten component moves. 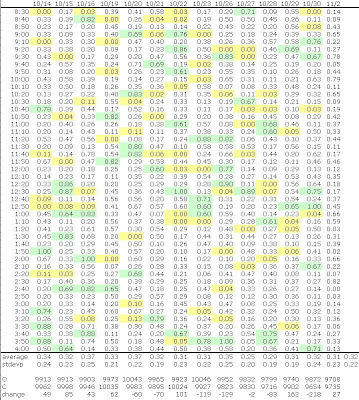 I highlighted the smoothest daily, weekly, and monthly price series with green, the smallest standard deviations with yellow. Although I know that the tiny YM study isn’t statistically significant, I do find it interesting that its one-minute intraday price movements are very similar in terms of fractal efficiency to the one-day price movements on the SPY. This might offer some ammunition to day traders who are often accused of merely trading noise. By the way, it seems that great minds think alike (and quite independently). David Varadi at CSS Analytics is experimenting with using fractal efficiency as the key component in a performance statistic. Of course, he knows what he’s doing, and I’m just mucking about. Two links for a Sunday when I’m otherwise occupied reading Animal Spirits and crunching numbers about market noise. The first is more than a year old, but Mebane Faber of the World Beta blog shared links to 14 brief Alpha Hall of Fame interviews and remembrances. Highlighted are Bruce Kovner, James Simons, Julian Robertson, George Soros, Michael Steinhardt, Kenneth Griffin, Seth Klarman, David Swensen, Steven Cohen, Leon Levy, Jack Nash, Louis Bacon, Alfred Winslow Jones, and Paul Tudor Jones. The second link is more timely—why exercise makes you less anxious. Or at least it makes rats less stressed. I knew Edward Tufte the way you know your FedEx delivery person. Back in the days that he was making his mark as a statistician and I was worried about typographic fine points, he ferried the Yale political science department’s brochure in its various stages of production back and forth between New Haven and the town where we both lived. We’d meet at the door for pickups and deliveries. Tufte subsequently gained fame for graphic design—more specifically, as the title of his landmark book described it, “the visual display of quantitative information.” He wrote, designed, and self-published four books on the subject that sold 1.7 million copies. And then he expanded into three dimensions and became a sculptor. Our paths have essentially gone in opposite directions since those days back in Cheshire, CT, and mine of course pales by comparison. But what’s fascinating is that today we have many similar intellectual concerns. So perhaps Heraclitus wasn’t so misguided with his claim that the path up and the path down are one and the same. All this is a long, meandering way of giving you a couple of links to the “Ask E.T.” section of his website that I think you’ll find well worth your while to pursue. First, Grand truths about human behavior. Second, Metaphors, analogies, thought mappings. Today I want to focus on a single theme from this paper—cognitive bias and flawed correlation. I’ll look at two examples, the first from the heuristic of representativeness, the second from the heuristic of availability. This statistical reasoning underlies the call for portfolio diversification. Although, as we have learned only too well, seemingly uncorrelated assets can becoming frighteningly correlated during market disruptions, for the most part it still makes sense to diversify. Who would presume to predict the outcome of a portfolio consisting solely of high beta tech names or of municipal bonds? You’d probably say that no good could come of it, but you would have nothing but common sense on which to base your judgment. You couldn’t make even a wild stab at quantifying your prediction. Common sense is sometimes good enough, but we mustn’t forget that common sense relies on heuristics to make its judgments under uncertainty, so we’re caught in a vicious circle. Pattern traders are particularly prone to the pitfalls of illusory correlation. It’s extraordinarily easy to mark up a chart with nothing but winning patterns and ignore all the instances in which these same patterns failed. Shift a line a little and the trader can yo-yo between winning and losing. Thomas Bulkowski undertook the monumental task of “documenting” chart pattern performance in his Encyclopedia of Chart Patterns but, despite the alleged probabilities, how often are we looking at big eyes and indulging in illusory correlation? Al Brooks’s Reading Price Charts Bar by Bar: The Technical Analysis of Price Action for the Serious Trader (Wiley, 2009) is a book I keep picking up and putting down. It’s a detailed analysis of intraday price action, primarily on the five-minute e-mini S&P 500. The book is a testament to how difficult it is to put pictures into words. When I first started trading, I tried to write up intraday price action; in addition I always saved a couple of intraday charts. A few days later when I went back to my prose summary, I had absolutely no idea what had happened. A quick glance at the charts made everything crystal clear. And I’m not a particularly visual person. I suspect my problem with this book is that I learn in a different way. When I was starting out as a trader, I read everything I could get my hands on. (It seems that trend is still intact!) What stuck in my brain were the basics, compliments of such writers as Edwards & Magee and Steve Nison. What didn’t stick (other than all the stuff that should never have seen the light of day) were the step-by-step manuals. I desperately need this kind of manual to assemble, let’s say, Ikea furniture where for me a picture is definitely not worth a thousand words. But when it comes to a non-engineering task, I live in the world of general principles and challenging ideas that I strive to apply intelligently and that are sometimes obvious visually. I’m not talented at putting little pieces together to forge a new whole or at creating pictures out of words. As you can see, I’m struggling with this post in a way that I rarely do. Brooks has written a serious, competent book. It’s not one of those throwaways. For me the problem is that he’s an Aristotelian with a microscope. Even though I think he’s good at what he does, I would rather be reading a first principles book. Today I’m going to offer some insights from Jacques Pézier’s chapter in the monumental three-volume, 1301-page work The Professional Risk Managers’ Handbook: A Comprehensive Guide to Current Theory and Best Practices, edited by Carol Alexander and Elizabeth Sheedy (PRMIA Publications, 2004). 1. If you were offered a once-in-a-lifetime opportunity to win x dollars or to lose x/2 dollars with equal chances, for what value of x would you hesitate between taking the gamble and letting the opportunity go by? We could follow up this question with a few others involving simple gambles before pushing toward the extremes, as in the next two questions. 2. If you were offered (a) a lottery ticket to win $10 million with some probability p, and nothing otherwise, or (b) a sure prize of $500,000, for which probability p would you be indifferent between taking the lottery or settling for the sure prize? 3. If you were asked to pay a $250,000 insurance premium to insure against a potential $3 million loss, what would be the minimum probability of loss that would justify this premium? Suppose, the author continues, the trader answers 33% to the second question and 5% to the third, we can calculate the utilities and plot them on the trader’s utility curve. (The math’s not important here.) The trader, not surprisingly, has a convex, upward-sloping utility curve. 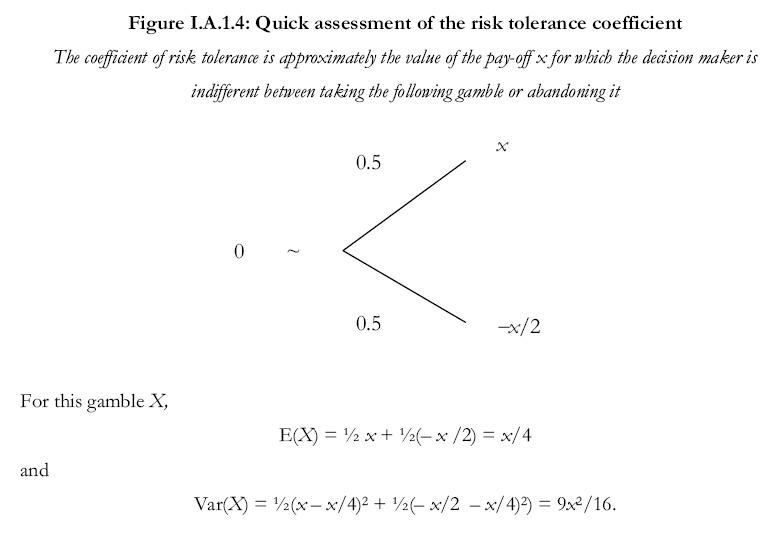 If the value x is negligible compared to the expected value, the risk is worth taking. However, if we increase x, the variance increases faster than the expected value; at some point the risk is not worth taking. In this case the point at which the trader is indifferent to the risk is 9x/8. Before you sign on to this way of estimating risk tolerance, consider its obvious downside. In the above figure all four gambles have equal expected values and variances, but they are clearly not all equally attractive. Everyone would be happy with A because there’s nothing to lose; the other three have different degrees of risk. And yet all four have the same expected value of 5 and the same standard deviation of 15! I hope that by now some bells are going off, which is why I’ve taken you down this long path. Sharpe ratio anyone? In fact, the Sharpe ratio, the author asserts, can be deduced from a special application of the mean-variance criterion. As a result I suspect that a trading system may have a favorable Sharpe ratio and nonetheless give the trader ulcers. Contrary to the title, Heinrich Weber and Kermit Zieg, Jr. have not written The Complete Guide to Non-Directional Trading (Traders Press, 2005). Don’t look for insights into butterflies or condors, for instance. The authors instead provide an introduction to volatility (with helpful visuals), the seemingly mandatory discussion of covered calls, and an analysis of straddles. I’m going to focus here on Weber and Zieg’s study of straddles, which the authors contend is the best way to trade volatility. A straddle, just to get everyone on the same page, is a call and a put on the same stock with the same strike price and the same expiration. A long straddle is long one call and long one put; a short straddle is short one call and short one put. The risk profile for a long straddle looks like a V; the risk profile for a short straddle looks like an A. The rationale for trading straddles is to place a bet on volatility, not on direction. Long straddles have a defined risk and unlimited profit potential; short straddles have unlimited risk and defined profit potential. Holders of long straddles are hoping for huge moves in the price of the underlying; holders of short straddles are hoping for small moves. The authors outline rules for success in trading straddles. Let me mention two in connection with long straddles. First, buy double the time. That is, analyze price movement over a relatively short time—say, six weeks—and buy a three-month straddle. The idea is that even if volatility comes in temporarily, the trader has twice as long for price to move by the desired amount. Second, pay very little. This is important because straddles tend to be expensive. Ideally, the trader would pay no more than one-third of the spread (in our example, over the previous six weeks). And now for my caveat, not a criticism of the book per se but a warning for its intended novice audience. I’m certain that there are highly successful straddles traders. But I would urge all but the most skillful options traders to resist the siren call of straddles. It’s far too easy, for instance, to get caught in the trap of buying a straddle just ahead of earnings (admittedly, the authors would keep you out of this trade because the premium would be far too high), have the stock price move as anticipated and implied volatility implode. And, guess what, most likely you lose! Trading options often seems like navigating a minefield. It requires knowledge, skill, and luck. If you can minimize your defined risk you stand a shot of coming out alive. If your risk is high, even if your potential rewards are astronomical, your odds of surviving are slim. How to transform organizations is the major theme of The Three Laws of Performance: Rewriting the Future of Your Organization and Your Life by Steve Zaffron and Dave Logan (Jossey-Bass, 2009). But in the final part of the book there is a chapter entitled “The Path to Mastery” that I think has some insights for traders and investors. I have no doubt that other authors have expressed these ideas more coherently. But I think the notions of thinking from rather than about and processing information counterintuitively are potentially profound. Two freebies that traders might not be aware of. Traders.com, a tabloid published online every other month by the same group that brings you Stocks & Commodities Magazine. An ongoing stream of articles, often several a day, can be found at Traders' Advantage. PitNews.com, a monthly. This site also has links to current newsletters and market research. The most obvious good trades often become crowded. This is not surprising. As we know from behavioral finance, if you don’t know what you’re doing often the best course is to follow the smart(er) money. Hedge fund after hedge fund, prop trader after prop trader, and sometimes (and usually belatedly) the retail trader pile on. They continue to make money as the trade moves in their favor. The problem is how to exit. Let’s think in terms of analogies. You’re in Oliver Wendell Holmes’s proverbial crowded theater. It’s crowded for a reason; the play has received rave reviews and everybody wants to see it. If you are totally engrossed in the play, you are unaware of any potential dangers. You are enthralled with the play and naturally expect to leave the theater only after the final curtain call. If, by contrast, you are hypersensitive to risk, you may sense smoke coming from a bored patron hanging out in the lobby puffing away. You know the adage “Where there’s smoke there’s fire” only too well and decide to leave the theater. After all, you’ve enjoyed at least part of the play and decide there’s no reason to risk being burned or worse to see it all the way through. Like most analogies, this one is starting to be forced, but I want to give it one more push. The “best” seats—that is, the most expensive seats—in the theater are in the center sections, not in the wings. That is, they are farthest away from the exits. They are not occupied by the usual patrons of the arts, by the movers and shakers, but by those who on this occasion outbid the usual occupants. In fact, smack dab in the middle is the so-called dumb money, the retail trader. The smart(er) money isn’t enjoying the play nearly as much as the dumb(er) money. They have to crane their necks to see properly, and they’re experiencing a little draft from the exit doors. They, by the way, smell no smoke but they’re not completely comfortable either. You know how the story unfolds. Someone cries “Fire!” and everyone rushes for the exits. Those closest to the exits get out, the next wave may be crushed, and if the cry of “fire” was not a false alarm, those in the middle are most likely to die. As with most analogies, this one is oversimplified. It doesn’t consider the effects of leverage, it elevates smart money to heights that are often unwarranted, and it assumes that someone actually cries “Fire!” (which, as we know, doesn’t happen in markets). Moreover, it doesn’t take into consideration what might happen to adjacent buildings, better known as the rest of the portfolio, if there actually is a fire. Right now the leveraged dollar carry-trade is crowded. Although we’ve heard warnings from the usual suspects (see, for instance, Roubini’s piece in the Financial Times, I would add an article from the India Times entitled “Perils of dollar carry trade” that offers a slightly different perspective. People are almost always convinced that this time is different, that we have checks and balances in place, that we have learned from past mistakes. One of the most illustrative pieces of this-time-is-different thinking is an ad on the eve of the Crash of 1929. The firm, Standard Statistics, recalled the Mississippi scheme (for details, see my post of 9/30) and proudly announced that “Today you need not guess. . . . Every investor—whether his capital consists of a few thousands or mounts into the millions—has at his disposal facilities for obtaining the facts. Facts which—as far as is humanly possible—eliminate the hazards of speculation and substitute in their place sound principles of investment.” (p. 16) Well, statistics (standard or not) failed. Perhaps wisely, 200 Varick St., home to Standard Statistics in 1929, now sports a Chipotle Mexican Grill. Mexican food can’t do so much harm. Reinhart and Rogoff devote a sobering four chapters to “the Second Great Contraction” complete with graphs that compare it to previous crises both domestically (the Great Depression) and internationally and analyze its spillover effects. Not surprisingly, in their concluding thoughts on what we have learned, the authors call for more extensive data collection. They acknowledge that “policy lessons on how to ‘avoid’ the next blow-up are at best limited. Danger signals emanating from even a well-grounded early warning system may be dismissed on the grounds that the old rules of valuation no longer apply.” (p. 287) But even if we can’t avoid financial folly, it’s critical to study it. Since riskers are doomed to failure, it’s important to know how to avoid becoming a risker in trading. The easiest way is not to be one of the richest players at the table. If you are a risker by temperament and very wealthy, big bets don’t have the same financial and psychological impact as they do on the rest of the players. Okay, now that we’ve all passed the first hurdle, let’s move on to other characteristics of riskers that might doom us. We know that riskers overtrade, and overtrade in large size. Moreover, they keep repeating this activity. Why? One reason is that riskers are inflexible. “They cannot adapt their strategies, they cannot read other players or the mood of the table.” Second, riskers don’t care. They have ice in their veins. “They aren’t distracted by fear or greed or any emotion whatsoever.” It’s only their wild betting, Brown suggests, that keeps them from falling asleep. So it’s okay to sweat, it’s imperative to be flexible, it’s often wise to sit on your hands, and it’s always important to size your position appropriately. Let someone else be the risker. Personally, I remain more than happy to let someone else be the risker. An “all you can eat” buffet or a gourmet dinner? Although the minimalist “less is more” has become something of a mantra in a downsized economy, it hasn’t resonated with enough active investors and traders. 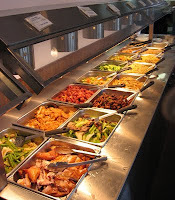 When confronted with a stock screener or technical analysis software, some people (especially those new to the table) act as if they’re at an “all you can eat” buffet. If one screening criterion or one technical indicator is good, two must be better, three better yet, and all the boxes filled in or as many squiggles as the chart will accommodate the very best. These people don’t start with a hypothesis; they just throw every tool they can think of at the job, where the job is defined as winning or getting rich quick. This is madness. And, yes, we’ve all been there. With any luck we’ve managed to escape from the asylum. First of all, tools by themselves produce nothing. The investor or trader has to use tools to produce results. So the novice starts to introduce rules, usually complex rules since he has so many tools to use—buy when the P/E ratio is under a, when the dividend yield is above b, when the year over year revenue growth is above c, and when the relative strength is greater than d. Or buy when the a-period moving average crosses above the b-period moving average, when the ADX is greater than c, and when the d-period stochastic is less than e. He mixes and matches until he gets something that looks halfway promising on a (flawed) backtest. If he really curve fits, he can get stunning backtest results. He’s off and running, on his way to great wealth. If only Goldman Sachs had had a trading model like his, they could have posted even better quarterly numbers. Contrast this smorgasbord model with one proposed by a sophisticated investor or trader who wants to sit down to a gourmet dinner. She will choose her restaurant carefully, knowing that she won’t get a gourmet meal at Wendy’s or Outback Steakhouse. She will proceed with some general observations about the restaurant’s food, taking into consideration restaurant reviews of particular dishes and the seasonality of produce. What will trump everything are her personal preferences. Brussels sprouts may be the restaurant’s claim to fame, but she hates them. Before I get really hungry, let me quickly transition to the trading environment. I know the analogy is forced, but I don’t have far to go. The savvy investor or trader first has to define her market, the restaurant. Then she has to make some macro calls (for instance, in a weak dollar environment the U.S. stock market tends to be strong, overnight gaps are filled x% of the time) or adopt a hypothesis (it is impossible to predict market outcomes) and structure a trading plan in accordance with those observations or hypotheses, all the while taking into consideration her personal preferences. She is trying to choose a meal where one dish complements the other; if successful, she leaves the table thoroughly satisfied, not sated and in need of an Alka-Seltzer. I know, I should never have gone down this path. But here and there a metaphor becomes a little shop of horrors. And there’s no way to claw back. Tomorrow will be better. I’m not about to bore you with a long list; I’ll just give a couple of examples. Lowry’s has done extensive work examining market bottoms and tops. A market bottom is often characterized by a few 90/10 down days (that is, 90% of operating companies listed on the NYSE are down on the day and 90% of the trading volume is conducted on the bid) followed within a few days by a 90/10 up day. A market top is normally more complex. Sipley quotes the Wall Street adage that “tops are a process, but bottoms are an event.” (p. 25) One tipoff that the market may roll over is if the number of new highs starts to decline even as prices continue to move upward. For the very long-term investor Robert Shiller has devised the CAPE (cyclically adjusted price/earnings) ratio. It measures ten years of trailing earnings and compares them to the current stock price. Over the past 130 years the average CAPE ratio has been about 15; however stretched a market becomes, it tends to revert back to the mean—eventually. The indicators Sipley discusses measure, among other things, what big money and fast money are doing, how investors are feeling (the sentiment surveys), what the options and futures markets are saying, and how active the world of IPOs and M&A is. These indicators are akin to a thermometer or a barometer. They don’t tell you exactly what to do but signal whether it might be wise to take an aspirin or to carry an umbrella. Brown offers some rules for taking incalculable risks—rules intended to prevent certain failure, not a recipe for success. And he continues, sounding ever more like the gambler. “If your goals are modest and you have adequate resources, you are likely to succeed. . . . If your goals are wildly ambitious relative to your resources, you’re likely to fail. But you might succeed. If having a real chance of succeeding—and a real chance of failing—is more attractive to you than what life offers in low-risk and calculable options, this book can guide you along the treacherous path you’ve chosen.” (p. 6) In fact, it doesn’t. But that’s not the point. Brown has framed the risk/reward scenario in its extremes. Each individual trader has to decide how far out on the ledge he’s willing to go. I always enjoy Malcolm Gladwell’s writings. His latest book, What the Dog Saw, is a collection of essays that appeared earlier in The New Yorker. Naturally, not all of them are available in the free New Yorker archives, but it's a start. (Oops, it seems that you can't get all the way with this link, so you'll have to enter Malcolm Gladwell's name in the search box.) Moreover, it offers up some pieces that didn’t make it to the book. Here some essays that may be of particular interest: “Cocksure: Banks, battles, and the psychology of overconfidence,” “The Uses of Adversity: Can underprivileged outsiders have an advantage?,” and “Late Bloomers: Why do we equate genius with precocity?” Only “Late Bloomers” is included in the book. While I’m on the subject of Malcolm Gladwell, if you didn’t see his 2004 talk on “What we can learn from spaghetti sauce” and if you have an interest in how consumers make decisions, take some time out from your busy schedule for a real treat. Charles Patel’s Technical Trading Systems for Commodities & Stocks (Traders Press, 1998 [reprint of the 1980 edition]) is a collection of 82 trading systems. Naturally, there are not 82 conceptually different trading systems. For instance, in some cases a trading system is branded “new” when a filter is added to a previous system. But there’s a more generous assortment of trading systems than most books offer. What is particularly useful about this book is that in every case that a system can be quantified Patel provides precise arithmetical steps to generate the indicator; he also spells out the buy and sell signals. Even though the book was written before the launch of Excel and the work sheets are painstakingly typed (how spoiled we’ve all become), anyone with even the most elementary knowledge of Excel can easily follow the “system definitions” to produce a spreadsheet. I realize that many of these indicators are included in technical analysis software packages, so traders don’t bother to learn how they are calculated. Well, that’s only one step up from black box trading. It’s important to know what you’re pinning your hopes on! Here indulge me on one of my pet peeves. Many people maintain that using canned indicators is like driving a car; you don’t have to know how a car works in order to drive it and you don’t have to know how an indicator is constructed in order to use it. 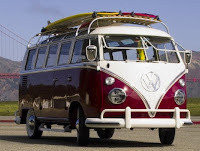 But what happens if the car breaks down in the middle of nowhere—picture yourself in an old VW bus in the Gobi Desert (I’m transporting you back to the pre-computerized service era driving one of the most unreliable vehicles)--and you’re all on your own? If you’re savvy and it’s a duct-tape kind of fix, you’ll live to drive another day. What happens if your favorite indicator breaks down? If you know how it’s constructed, sometimes a tweak will get it up and running again. But you can tweak it only if you know what “it” is. The sophisticated folks who are trading adaptive systems and dynamically hedging presumably know what “it” is or at least have a mechanic an arm’s length away. The independent investor or trader is on her own, in the Gobi Desert, and has to be her own mechanic. In the case of most of Patel’s systems, she could have stopped her math education in the fourth grade and still survive. So no excuses! VW bus ad. Earlier I recounted my college African trip (and my first investment); one of the few things I brought back because I loved it was a 45 record of “Ag Pleez Deddy!” Since it no longer plays on anything even remotely resembling a “record player,” I was in search of an online download. The closest I could find was Jeremy Taylor’s 2007 very abbreviated redux and the VW knock-off. Back from memory lane to potential here-and-now investor/trader-focused edges. Patel’s book may not be the latest and greatest, but he offers some strategies that have flown under the radar screen and on first blush may have potential. He gets you under the hood; he has an appreciation of what might work more often than not. This book is infinitely more valuable than all the “weekend camp” junk you can spend thousands on. As I’ve said before about Traders Press books, if you’re interested in buying any of them compare the price on their web site with the price on Amazon; you’ll usually save a boatload of money if you go direct to the source. Okay, all you quants, wannabe quants, and sports fans, here’s a book for you! You liked Moneyball? Wayne L. Winston, the John and Esther Reese Professor of Decision Sciences at Indiana University’s Kelley School of Business, takes you farther into the world of sports math. In 51 short chapters he shows how to use statistics to tackle such diverse questions as when it’s wise to bunt, how to compare players from different eras, whether teams and players have “hot streaks,” and whether college basketball games are fixed. Mathletics: How Gamblers, Managers, and Sports Enthusiasts Use Mathematics in Baseball, Basketball, and Football (Princeton University Press, 2009) is also a terrific read for anyone trying to model markets statistically and make trading decisions based on statistical data. Sports, I assume, are easier to model than markets because, among other things, every game has an agreed-upon beginning and end, the number of players is limited and their abilities quantifiable, and each sport is governed by a set of rules. Data don’t keep accumulating 24/7, more randomly than not, with a gazillion players who have different agendas and play by different rules, all bound together in a complex adaptive system. Nonetheless, traders are confronted with the same kinds of decisions as those who call plays for a football team. It’s third and six (this, by the way, was the glum situation in which the Yale football team always seemed to find itself when I was at a game, and it’s has become something of a metaphor around here) and you start the decision tree. Do you pass or run? If you decide to pass, is it a short pass or a long pass, down the middle or to the outside? Who’s the intended receiver? What’s the pattern? I don’t have to go through the drill. The point is, do you wing it or do you base your decision on statistically significant findings? Winston shows the merits of statistically based decisions in a highly structured system. As readers of my blog should know by now, I’m not a quant. My most notable math achievement was winning a drafting set (which I still have and actually use on occasion) for placing first in a county-wide algebra contest in the ninth grade. It’s not that I stopped my math education in junior high; I just never stunned the world with my mathematical prowess. Nonetheless, I love numbers, I consider spreadsheets a powerful cross between aesthetics and math, and I respect those who can write the endless whiteboard equations that I will never understand. And I think that analogies, though often misleading, can also open paths to opportunities. Reading Winston’s book is a mind-opening experience. He writes about some topics familiar to investors and traders such as the Kelly criterion and arbitrage opportunities. He explains how gamblers and bookmakers make money. And he shows how to ferret out opportunities and assess their probability of success. For instance, can a bettor make money by exploiting the fact that certain NBA officials influence the total points scored in a game by calling lots of fouls and the Total Line does not adjust for this fact? “The complex adaptive social systems view of the world,” Miller and Page argue, “allows us to explore the spaces between simple and strategic behavior, between pairs and infinities of agents, between equilibrium and chaos, between richness and rigor, and between anarchy and control.” (p. 213) Sound like the spaces occupied by the markets? The authors look at each of these spaces in turn. First, in between simple and strategic behavior. The authors contrast tic-tac-toe with chess. Apparently even chickens can be trained to play the optimal tic-tac-toe strategy. (Now that’s scary!) With chess, however, there’s no computer program that can generate the whole game tree; it can produce a tree only toward the end of the game. Instead, chess computer programs employ heuristics (x piece is more valuable than y piece), clever pruning of localized parts of the game tree, and other means to decide on their moves. Second, in between pairs and infinities of agents. Most social activity takes place in this space. Once again, the markets are a good example. Fourth, in between richness and rigor. Or, as the authors suggest, in between qualitative methods and mathematics. Qualitative methods are flexible in the sense that they can analyze many kinds of problems but are often “vague, inconsistent, and incomplete.” (p. 224) Mathematical methods are normally more rigorous but sacrifice the richness of what can be studied. Now I’m not suggesting that investors and traders try to mimic computational models in building their own trading models. For one thing, it would be daunting to go beyond the most simplistic construct. And however intellectually challenging the project, I doubt that riches would immediately start to flow. Nonetheless, I think that the “in between” concept is powerful and that imaginative traders and investors might be able to exploit it to their advantage. Stanley Kroll on Futures Trading Strategy was published in 1988 by Dow Jones-Irwin and is now available in .pdf form from Traders Press. Kroll was a legendary commodities trader in the 1960s and 70s. Apparently in the early 1970s he parlayed $18,000 of his own money into $1 million; he “retired” for five years in 1975 at the age of 40, subsequently returned to the markets, and died in 1999. Richard J. Dennis wrote on the back flap: “This is the best book I’ve ever read on futures trading.” High praise indeed from another legend. Researchers in complex adaptive systems inevitably rely on computational models. In an appendix the authors offer some guidance about constructing models, guidance that I think is valuable for anyone trying to construct trading models. (I very loosely include both mechanical systems and discretionary guideposts under the rubric of models.) Let me highlight some of the salient points. Third, construct flexible frameworks. “A well-designed framework puts very few a priori constraints on the model, and thus the outcome is rich in possibilities.” (p. 249) Flexible frameworks allow trading ideas to have multiple, unique instantiations and allow trading systems to adapt to changing market conditions. Fourth, create multiple implementations. For instance, test a trading system on a variety of markets and time frames. Fifth, keep a lab notebook. It’s imperative to keep a record of how your model plays out in real life. Finally, reward the right things. “Like any branch of science, one needs to reward the right accomplishments. While it may be true that lovely graphics, advanced coding techniques, frontier hardware, and so on may enhance computational models, ultimately it is the resulting science that must be judged.” (p. 254) Amen. Murray Gunn addresses what is one of the most difficult problems, if not the most difficult, for traders—how to know when a rangebound market is about to become a trending market and when a trending market is about to become rangebound. 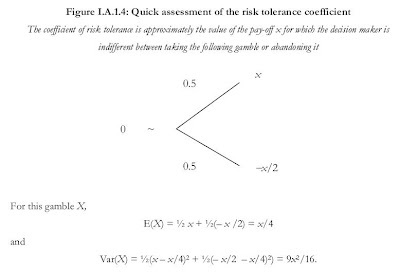 Trading Regime Analysis: The Probability of Volatility (Wiley, 2009) is an almost avuncular approach to this problem. That is, imagine sitting down with your favorite uncle as he tells tales—some engrossing, some humorous, some familiar—and then offers words of wisdom, making sure you understand that these words are written not in stone but in sand. He also confides that your aunt sees otherwise. And, oh yes, your uncle is a Scotsman and a currency investment manager. Gunn assumes that we know trends and rangebound markets when we see them (at least once they’re reasonably well established) and that we don’t need precise definitions. Moreover, he assumes that we have decent strategies for trading each kind of market. The problem is how to know when these trading regimes are shifting and hence when to start shifting strategies. Although Gunn acknowledges that a great deal of quantitative research has been done in this area and even devotes a fascinating chapter to the work of the quants at RBS, he argues that technical analysis is not only up to the job but may even be better because it can not only identify the appearance of a shift but can anticipate the market’s direction. Gunn doesn’t follow up on this idea in a rigorous way; instead, he discusses various well-established technical indicators and charting techniques that can be part of a trading regime analysis. He admits that all of these work some of the time, that none works all of the time, but that by mixing and matching the trading regime analyst should be able to determine the change of regime quickly enough to capture the meat of a trending move and avoid being chopped to death when the market trades sideways. Gunn’s approach is eclectic and “soft.” He’s essentially searching for “a good feel.” As such, it’s somewhat frustrating. But then markets are frustrating as well and don’t succumb easily, if ever, to mathematical analysis. Or, as Gunn would say, in one of his favorite expressions, they do and they don’t. They yield a little here, a little there, but those darned traders and investors with all their quirks keep messing up the models. In the October issue of Futures Magazine, on the very last page, is an example of how to use overarching hypotheses about markets to develop trading strategies. In this case Peter Matthews, a founding partner in Mint, a legendary trend-following CTA, decided to create a new managed futures strategy. And launch a new fund, PJM Capital. Matthews therefore decided to replace the statistically-based trend following system used at Mint with a risk management trading system, what he considers the “next generation of quantitative systems.” His focus is on position sizing—trading in size when the cost of error is the smallest and avoiding most high-risk trades altogether. The goal is to manage drawdown while maintaining returns similar to the trend-following fund. Although this has a familiar ring to it, my hunch is that by moving risk management from bridesmaid to bride might be fertile ground.